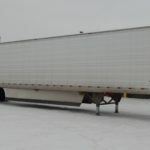 Combo Steel Aluminum Step Deck Trailer - Kingpin Trailers LTD. Trail King’s Steel-Aluminum Combo Center Frame Step Deck (ACS) features the best of two worlds…the strength of steel plus the weight savings and superior corrosion resistance of aluminum. 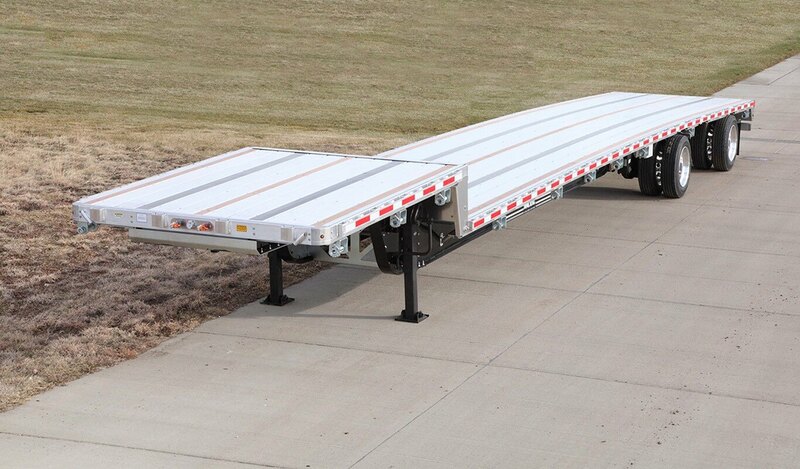 Engineered for superior load-hauling strength and featuring competitive low deck heights, the ACS can accommodate your toughest payloads…short, tall, or any of a wide variety of cargo configurations. 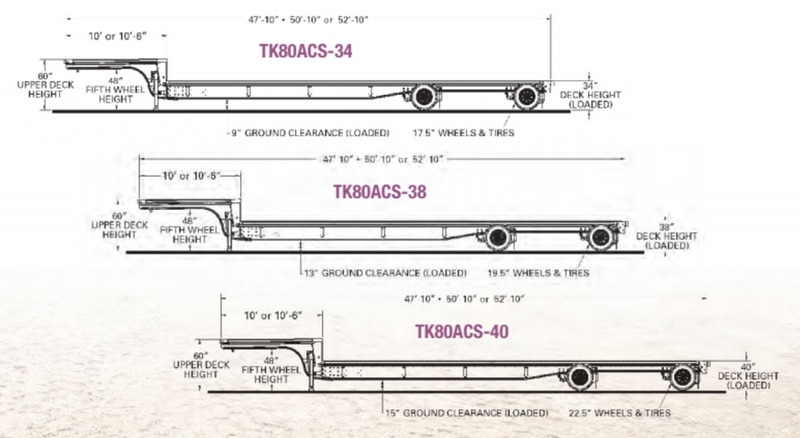 The Trail King ACS…destined to be the best Step Deck trailer you’ll ever own. Trail King I-beams are constructed of one-piece web and flange material and welded on all four sides to seal and protect the seams from rust. The result is an I-beam that is not only stronger…but one that is stronger longer. Web stiffener bars and 1/4″-thick half-moon gussets on one side of the web, plus overlapping “wrap-around” flanges where the gooseneck meets the main beam, rein-force the transition area of the gooseneck for uncompromised strength in this critical area. Also included: 4-bolt, easy-access front panel, stake pockets, and flag holders. To prevent corrosion, steel components, such as the king pin plate, sliding D-rings, winches, and all fasteners are zinc coated. Other components, such as the bolt-on landing gear, are Armor coated. Knee braces are bolted on, not welded, reducing stress on the main beam and crossmembers. Crossmembers are on 12″ centers in the main deck and 18″ centers in the upper deck. Single door. Widths: 48″ or 60″. High quality air-operated valves are contained in a conveniently located, protective sealed box, and control the slider axle brakes/locks and suspension raise/lower functions. Actual functions will vary based on trailer options. 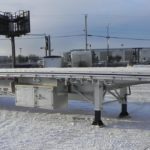 The extruded outer rail, featuring a double-L sliding winch track, is a continuous, one-piece design — even in the wheel area, where the wheel covers are built right into the deck frame. © 2018 Kingpin Trailers Ltd.